It can be difficult to find the perfect activity for your two year old. You are looking for something that will be a fun, interactive activity but in a safe, friendly atmosphere. You want somewhere that will understand and nurture your growing toddler but still provide the structure and learning they crave. Two year old preschool is that activity! There is so much more to preschool beyond letters and numbers, and many of the important social cues are learned in the two year old year! 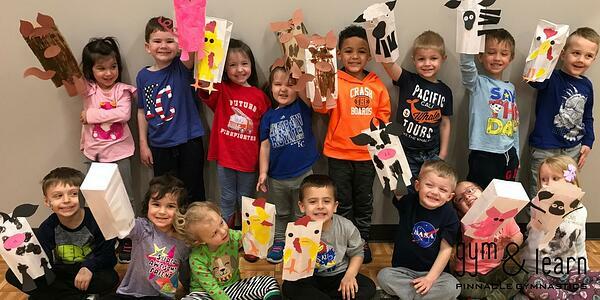 Two year old preschool is about so much more than letters or numbers. It is about learning how to interact with your peers and how to navigate the world through social cues. Studies continue to show that the two year old year is important for laying the groundwork for so many different aspects of your child's life, including social interactions and gross motor development. While your child may not be ready for direct one-on-one play, they will benefit from peer modeling and introducing these interactions. Preschool is a wonderful area to introduce these skills. It provides a safe, calm environment to learn to share, communicate, and interact with peers and adults alike. The teachers are professionals at handling these interactions and have wonderful words to help guide the toddlers through these new experiences. Often, you will here a preschool teacher provide the words for your toddler, such as "May I have? or Can you please?," and the toddler will start implementing these phrases in their daily lives. Speech is one of the most developed skills during the two year old year! According to the American Speech-Language-Hearing Association your child will be developing a large grasp of the English language at this time, including introducing two part directions and three word sentences. These skills often require repetitive practice and can take a significant amount of time for your toddler to become comfortable using these new speech skills. Two year old preschool allows for your child to practice these skills with new people and peers. Hearing other children speak on their level often builds their vocabulary in new and stronger ways. This also allows your child to practice their new skills and advance to other speech levels, including building a strong academic vocabulary including basic science, math, and exploratory words. Beyond speech, two year old preschool is the perfect way to start building the foundation for a well rounded child. Letters and number are just a small part of a preschool curriculum, building a strong, scientific foundation is also critical. Preschools often include sensory activities what are science based and teach the children to ask the simple question, "Why?". While this may be seen as a frustrating question to some parents, it is incredibly important. The question of why shows that a child is not only retaining the basic information, but is ready to understand the deeper lesson and ready to connect the lesson to their daily lives. By teaching a child to ask questions and work at finding the answers is the key to building a strong student who will thrive throughout their academic career. It can be difficult to find the perfect fit for your family. Two year old preschools can be hard to find, and you need to make sure that they are able to foster the unique needs your toddler may have! Start by looking around your area and making sure you ask the tough questions. 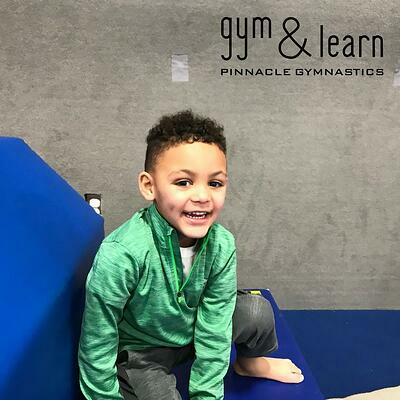 If you are looking for a wonderful option in the Kansas City area, you may want to check out the Gym and Learn program at Pinnacle Gymnastics. 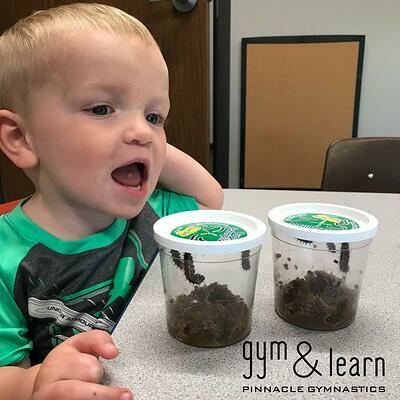 This program also has the added benefits of peer modeling from older children, low class ratios, flexible schedule and gross motor development through gymnastics. Two year old preschool is a fun way to kick off your child's academic career. You can set your child up for success in the years to come by allowing them to develop and grow away from the home. This can also benefit your child as they learn to take instruction from other adults, learn new social cues from their peers, and even have a chance to explore the world around them.